GLL, the UK’s largest charitable, social enterprise and leisure operator has been supporting young sports people in Newcastle during 2018 through our funded athlete programme, the ‘GLL Sport Foundation’. 2018 has been a very successful year for local swimmer Nick Pyke. 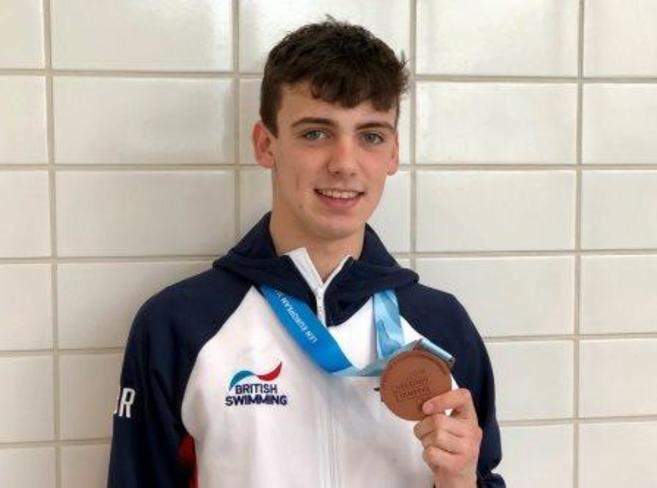 He kicked off his achievements with his first gold medal in February at the British Championship in Edinburgh, competing in the 50 metres backstroke. June saw him heading to Finland as part of Team GB, competing in the European Juniors event. Here he picked up a bronze medal in the 50m backstroke and silver medal from the mixed medley relay. Soon afterwards Nick was selected to take part in the European senior’s event in Glasgow where he made the semi-finals of the 50 meter backstroke. He also received another gold medal for my part in the heats of the mixed medley relay. He topped of this event by competing in the backstroke leg of the Men’s medley relay alongside Adam Peaty, Duncan Scott and James Guy, where they won the gold medal. Not only that, they also broke the championship record for this event.